Ask fellow campers about "Davis RV Park" and nearby attractions. Stayed at the Davis RV park for about 6 months. We enjoyed our stay there. Manager is super nice and helpful, clean big lots and quiet park. Laundry is on the site. Monthly rates are very affordable and electric bill was cheap as well. We camped at Davis RV Park in a Travel Trailer. I and my fellow workers, about 15 families in all, have been staying at Davis RV Park for over the last 15 years and we are always treated with a big Texas friendly welcome and treated like family and feel at home. 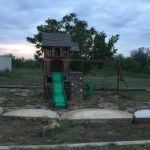 The lots are big and spacious, good electric and Internet, good water, friendly owners and managers. Some of us have stayed in our RVs and some in the house and mobile home rentals in site and we have always been pleased and treated well. If we have a reservation and they are expecting us they will wait up just like family on us to make sure we are backed in and hooked up to our comfort,. And no extra charge just because they are glad to have you there. We return every year and always hate to leave but we always come back only to Davis. RV park is a real park that's been there since the 60's, not one of these little new makeshift parks with bad electrical and water systems that would damage our trailers. We trust only Davis Park in this area and will always be their customers and we are thankful for the many good stays we gave had. We camped at Davis RV Park in a Fifth Wheel. Eat at the Blue Jean Cafe, it is great and Wal Mart is within walking distance. Only a couple of trailers on the park, the Park Manager told us the best 30 amp spot to get Wi-Fi is A - G, Nice big Pecan Trees to shade the lot. Spacious lots, and Manager informed us no cable, but we used Hot spot on phone. Wi-Fi worked great! Good location, as Walmart down the road, and places to eat like Subway, Sonic, Pizza Hut, Blue Jeans Cafe, two Mexican restaurants, and China Wok in town square. I was even happy to see the Beer Barn which is drive thru service. Laundry on site, open 24 hours that's a + for me. We were not along side the highway so noise level was low. It's right on N Swenson close to all the amenities. We camped at Davis RV Park in a Travel Trailer. Worse park my wife and I have ever stayed in. Owner absent; fill-in attendant knew very little about park. Had to hunt for a 30 amp. No bath house; wi-fi did not work. Owner's dog chewed cable. At $35 per night, a big rip off. Sewer lines had no caps, very shabby place. Obviously, will never stay there again. We rate it "zero" stars. We camped at Davis RV Park in a Motorhome. Park had nice lots with trees, laundry room, nice wooden swing area for the kids. Park Manager informed us no cable, but we were OK with that as we have DirectTv. Wi-Fi was available. Park Manager was very helpful, as she told us where all the amenities are. She had quarters on hand all the time for laundry. We had no issues at all, and enjoyed our stay. We camped at Davis RV Park in a Travel Trailer. 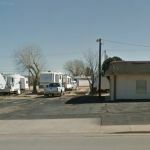 Are you affiliated with Davis RV Park ?